Hadef & Partners has assisted with the jointly owned property structuring and Owners’ Association (OA) establishment for Le Reve in Dubai Marina, one of Dubai’s most sought after and well established residential buildings. Full registration of the Le Reve OA with the Dubai Real Estate Regulatory Agency (RERA) will represent a significant milestone for the Dubai property market and the ongoing development of Dubai Law No.27 of 2007 (the Jointly Owned Property Law). Le Reve is a 50-storey building consisting of approximately 80 apartments. It is believed Dubai’s most expensive apartment currently on the market is a Le Reve six bedroom unit which is priced at AED39 million. 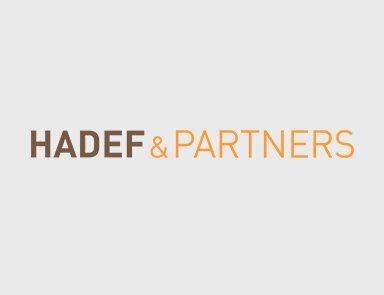 Hadef & Partners was involved with this luxury development long before the Jointly Owned Property Law was introduced. We assisted for several years with the implementation and management of a contractually based OA and in 2010 we were appointed to advise on the jointly owned property structuring for Le Reve. We subsequently prepared the Le Reve Jointly Owned Property Declaration, assisted with the election of a Board and the commencement of transition of management control from the developer to owners. It is expected that once the Le Reve OA is fully registered with RERA, owners will be able to completely release themselves from ongoing involvement with the developer. We also expect Le Reve will be among the first buildings in Dubai with a bank account fully under owners’ control. What steps will an OA need to take before a Court is willing to treat an OA as a separate legal entity? Will an OA be able to demonstrate full legal ownership of common areas by registering those areas in its own name? At what stage will an OA be able to place a lien against a unit and sell it to recover unpaid service charges? How will the building handover process be managed in order for an OA to take formal control from a developer? Hadef & Partners is pleased to have been intricately involved in this cutting edge development and we are also proud to have been commended for the quality of the Jointly Owned Property documentation prepared for Le Reve.